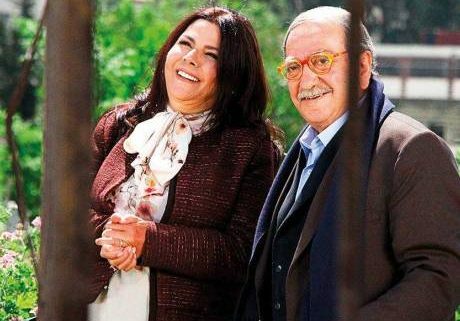 Veteran Syrian comedian Duraid Lahham, famous across the Arab World for the character of Ghawwar Al Tawsheh, is making a cinematic comeback this summer with a film called Dimashq – Halab(Damascus-Aleppo). 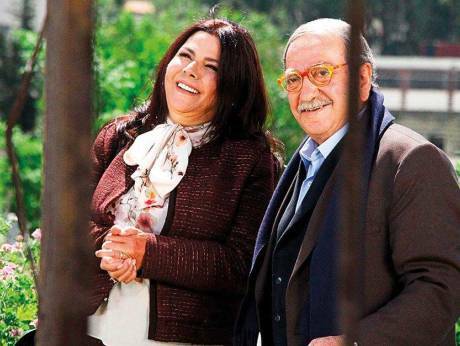 Lahham, aged 84, has not appeared in movies since 2006, and is presently billing with his former co-star Sabah Al Jazairi, with whom he shared the Arab stage in notable productions such as Ghorba and Kasak Ya Watan. Their last show together kicked off from Tunisia and was filmed for Arab audiences in Abu Dhabi. Jazairi, now better remembered for her role in the nine-season epic Bab Al Hara, began her artistic career in the early 1970s, in a famous black and white comedy with Lahham called Sah Al Nawm. With Al Jazairi in a film early in their careers. Their new film is directed by celebrated Palestinian director Basel Al Khatib and written by his brother, Taleed Al Khatib. It is expected to premier in Syria next August. 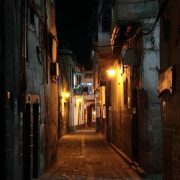 Set against the backdrop of the present war, the film tells the story of Eisa (Lahham), a retired radio host who takes a bus from Damascus to Aleppo to visit his daughter Dima (played by Syrian actress Kinda Hanna), who lost her husband during the violence that engulfed the Syrian north. 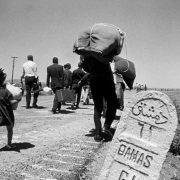 Along the way he sees the destruction across the Syrian heartland, interacting with passengers from different segments of Syrian society, all of whose lives was ruined and deformed by the present conflict. From left: Lahham, director Basel Al Khatib, and co-star Ahmad Rafee on the sets of the film. Lahham is a chemist by education and a university professor who started his career during the short-lived Syrian-Egyptian Union back in July 1960. He is a recipient of the Syrian, Jordanian, Libyan, and Lebanese Orders of Merit (Excellence Class). For two decades, he billed as Ghawwar, a mischievous prankster on the streets of Damascus, with a hallmark uniform that made him recognisable throughout the Arab World: an old fez (tarboosh), shirwal (a large baggy trouser) and wooden clogs (kobkab). 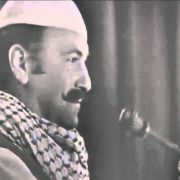 After the collective Arab defeat in the Six-Day War of 1967, he turned to more serious political satire with stage productions such as Dayat Tishreen (1974), Ghorba (1976), and Kasak Ya Watan (1978), all co-written with celebrated Syrian poet Mohammad Al Maghout. Monte Carlo Radio once called him The Arab Charlie Chaplin and during the 1990s, he served as Goodwill Ambassador for Unicef. This is his first collaboration with Khatib and with the Syrian Public Association for Production, which is producing Dimashq – Halab. His career includes 11 plays, 17 television comedies, and 32 films. 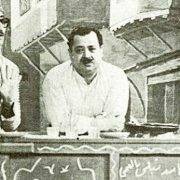 Sahban Abd Rabbo, an archivist, critic, and administrator of Duraid Lahham’s official channel on YouTube spoke to tabloid!, saying: “Lahham is proud of the second half of his cinematic experience, which started in 1984. Before that he considers that his films were too commercial. 1984 was when he started making more serious movies, at an average of one every five years. Published in Gulf News on 13 June 2018.